Do you love bacon?! 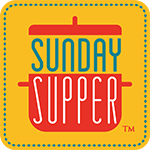 The Sunday Supper tastemakers are sharing their best bacon recipes in anticipation of Bacon Lover’s Day on August 20th. This event will be hosted by Erica of The Crumby Cupcake. I had initially thought about making a bacon bloody mary, but two other tastemakers have that covered. 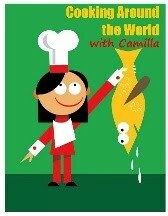 Don't miss the recipes from Our Good Life and La Bella Vita Cucina. Cheers! But I decided to go a different route. 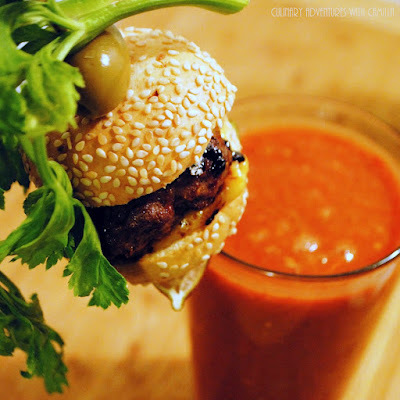 Besides, I have shared a bloody mary garnished with a tiny burger before. So, I wanted to create a bacon-y riff on another favorite cocktail: an old fashioned. And I wanted an excuse to break into a bottle of ocean-aged bourbon I've been hoarding for months. Yep, it's as crazy as it sounds - ocean-aged booze. I first discovered it when I interviewed a chef in King City who was just opening his restaurant. I wanted to balk and say that it had to be a marketing gimmick. But, I can't. This bourbon is aged for six to eight years before it's put into barrels and loaded onto a container ship. For six months, the bourbon circumnavigates the globe, stopping in over thirty ports, and crossing the equator four times. The idea is that the constant movement of the bourbon, as it sloshes around, ages it faster because more of the liquid is in contact with the wood more often. Interesting, right? If you like bourbon, track down a bottle. It's seriously tasty with strongly defined bourbon notes blended with unique, briny characteristics. And while it is pricey, a percentage of each bottle goes towards ocean research. That's a worthy cause in my mind! Preheat oven to 400 degrees F. Line a baking sheet with parchment paper and place a wire rack on top of that. In a small mixing bowl, blend all of the dry ingredients together in a small mixing bowl. Place the bacon on top of the wire rack. Spoon 1 T of the sugar mixture over each piece of bacon and spread evenly over the surface. Place in the preheated oven. Bake for 10 minutes. Remove from the oven and, gently, spread the caramel that has formed over the bacon. Return to the oven for another 10 minutes. Using tongs, carefully flip the bacon over and spoon 1 T of the sugar mixture on the second side. Spread it evenly over the surface. Bake for 5 minutes. When the bacon is crisped and the glaze is caramelized, it's done. Remove to a parchment-lined baking sheet and let cool completely. Combine whiskey, brown sugar, and bitters in a cocktail shaker. Stir to dissolve sugar. Top with ice and shake. Strain into a glass with ice. Garnish with a lemon twist and candied bacon. This sounds incredible! Bacon in a cocktail? YES! Such a marvelous garnish!! That is, if I could hold back from eating all the candied bacon first! Sharing this with my MIL right now!